I am back with another portfolio piece to demonstrate my range beyond the Hollywood celebrity portrait. 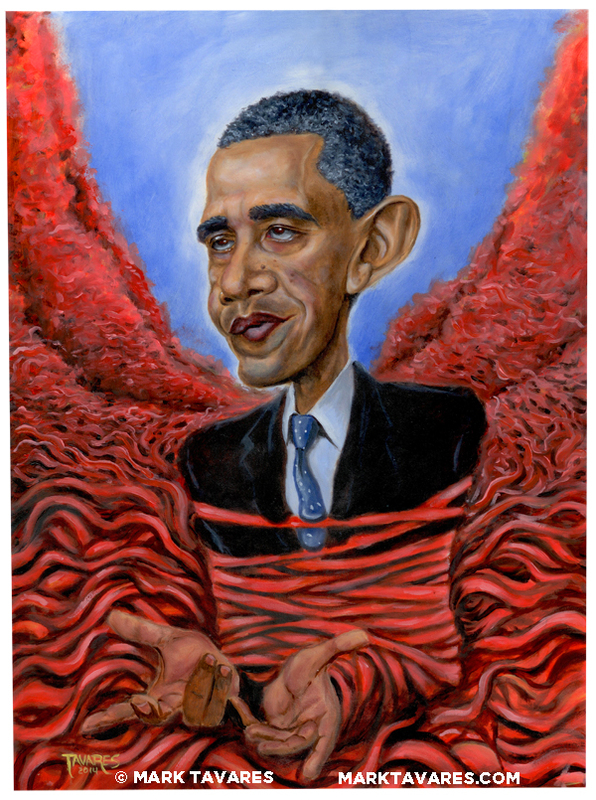 This is “Barack Obama wrapped in Red Tape”. It’s not a statement of any political belief or party affiliation. It is simply another type of image I might be called on to create for the cover of a Monthly News Magazine. As we are always approaching a new election cycle, it is good for me to show I can handle a Politician’s likeness. I hope you like it! Thanks for looking! !